The internet allows doing virtually everything in an instantâ€” like checking your bank account, transferring money to a bank account, or purchasing a well-deserved gift. The convenience it brings, though, comes at the expense of your safety, as hackers and scammers abound on the internet. Aside from increasing your financial knowledge, itâ€™s also good to learn more about how to secure your online finances. Because even if you know how to grow your savings, it wonâ€™t matter much if you donâ€™t know how to protect your finances against online threats. When you receive an email from your bank that needs to be promptly addressed, call your bank right away and have them confirm it. Not every email that claims to be from the bank is legit, so youâ€™d better watch out for suspicious emails. To protect yourself from hackers, set strong passwords for all your financial accounts. A good password is a combination of lowercase and uppercase letters, symbols, and numbers. It shouldnâ€™t contain personal details (that might be available on social media and elsewhere online) like your birthdate or anniversary. It also helps to change your password frequently to reduce the risk of your account getting accessed by someone without your knowledge or permission. Keep your computerâ€™s operating system and browsers up to date. Their updated features can definitely help in detecting viruses and malware that can collect your personal information stored on your computer. Never trust pop-up ads, even if they claim that they can protect your computer from harmful spyware. If youâ€™re unsure about the site, you might as well be better off not visiting it anymore. Be careful when posting your personal details such as full name, birthdate, address, and contact info on the internet. Check the privacy settings of the website where youâ€™ll provide your information. Also, increase the privacy settings of your social media accounts. To further protect your personal information, you can subscribe to an online reputation management website such as MyLife that lets you control your information thatâ€™s exposed on certain sites. If youâ€™re not careful enough, identity thieves will take advantage of your sensitive information and before you know it, your bank account or credit card might be used for transactions youâ€™re not aware of. Subscribe to your bankâ€™s online and mobile facilities so that you can receive quick notifications if anything suspicious happens to your account, such as unauthorized withdrawals or money transfers. This way, you can be updated on every transaction done in your account, and if someone is trying to access your bank account, youâ€™ll be able to put a stop to it promptly. Hackers can easily gain access to unsecured networks, so make sure that yours is protected by a password. You donâ€™t have to worry about the speed of your connection because it wonâ€™t have any effect on it. Check the manual or your router on how to create your own encryption for your wireless connection at home. Be observant and evaluate the sites you visit and will transact with. One of the signs that a site is secure is if its URL starts with an â€œhttpsâ€ and has a padlock icon on the address bar. Also, use credit cards when purchasing online because they have strong fraud protection. Securing your online finances means securing your future, too. Donâ€™t give those hackers access to your hard-earned money. 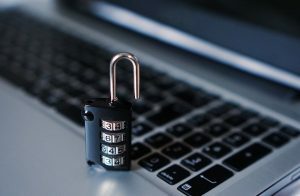 Taking the necessary precautions to protect your online finances will enable you to outsmart online predators and will give you peace of mind knowing that your finances are safe from theft.